One Laptop Per Child has finally released Update 1 for Sugar, which is based on build 703, itself released in March. With that stern of a warning, and the memory of my XO laptop repairs fresh in my mind, I'm going to wait till the more intrepid hackers make a easy install for me. But for those that do want to charge ahead, let us know your impressions. If you have any problems, the OLPC News Sugar Forum is here to help. I just updated mine yesterday to build-faster-2021 and am quite pleased. (Your mileage may vary. I had previously been running build-candidate-703 and updated with "olpc-update build-faster-2021".) I think as long as you own a USB key that you can load with one of the "blow away everything and restore from scratch" images, you're pretty safe. 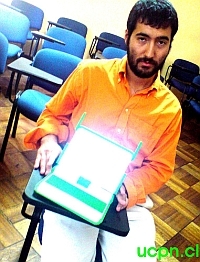 About 12 days ago I ran olpc-update 703, my first update since I G1G1'd. As warned in the Update.1 release notes you linked to, all my activities were gone (except XoIRC that I had installed separately). I was unable to get the G1G1 Activity Pack to install from USB Flash Drive. I tried several times pressing various keys during reboot, and every time I just booted back into my bare Sugar. That's unfortunate, since I improved the doc on many wiki pages for Update.1 and Activity packs a lot (IMNSHO :-) ) but couldn't get the recommended procedure to work. Hmmm. So instead I ran "Bert's script" to install a useful set of activities. That seemed to work fine. It's confusing that Update.1 is now finally released using the same build number 703, I wonder how "official-703" differs from plain "703". Meanwhile the release notes and other pages now list "update.1-708" as the "release candidate", maybe that's for Update 1.1 (8.1.1). And yet more new stuff is coming in Update.2, currently scheduled for August. Hobart, you could start Terminal, run the command-line tool wget to grab the file to your current directory, then in Browse navigate to a file:/// URL; I think the Journal will remember the local URL. Or save the HTML file to a USB flash drive, supposedly the Journal can show a USB flash drive's contents. It definitely could be cleaner. I installed Update.1 and the G1G1 Activities pack. Now I'm trying to restore all the customizations I've made -- Hawaiian `okina character, mp3 codec, PySol, full-functionality Abiword and having the browser startup page be my personal list of favorite sites. I've found that 703 has caused two bugs, one trivial and the other serious: the timezone setting reverts to GMT and the battery indicator is non-operative: it shows 97% charged until it's suddenly 14% and the red light comes on. The indicator operated normally in 656. I've also detected NO IMPROVEMENT in battery life: it's still four hours on a charge while you're using the machine. I COULDN'T CARE LESS HOW LONG THE MACHINE CAN SLEEP! I just installed build-faster-2024 and I have to say I'm thoroughly impressed with all the progress that's been made in the past few weeks. Installed 703 and G1G1 activity pack, no problems. There is some ambiguity in the instructions though. By USB memory stick, the instructions do not mean the XO's sd card slot. You need a memory stick that plugs into one of the three usb slots. Also, when rebooting, the instructions say hold down the X game key; this key is the one on the upper left corner of the keyboard. Sleeping works well. It's handy if you want to close the lid, break for lunch, and come back afterwards. I really am trying my best to keep good perspective about XO... but so far it has been more headache. I use the older WEP 128-bit encryption and that works. But I was planning to upgrade my router in a month or two; good to know wpa could be trouble. Nice, finally, but only 706 and above have working pen tablet drivers. Hope it doesn't take another 6 months for these to come out. Then again, hope it doesn't take another 9 months for update 2. Note that this would corrupt SD cards and disable USB-ethernet. I don't care about sleep (turning off the backlight saves a lot of juice while I'm away from keyboard). I think I'll take a pass, at least for now. Well, after about four hours of work, I've managed to re-do all my "customizations" except PySolFC (the python solitaire card games), which apparently wants a library (Tk) which is either missing or has been moved. My "wifi_off" script generates strange messages (but still works, though you now have to reboot to have it take effect). Along the way, I nearly bricked the machine when trying to restore the `okina character but eventually got it working by going back to 656 and using ctrl-alt-mesh to log to root and re-download the O/S to restore the keyboard mapping (whew!). I'm a bit confused. As opposed to the build released, wasn't the Update supposed to install itself automatically on the XOs while they were connected to the Internet?